Dorsey & Whitney Foundation provides Donation support! Dorsey & Whitney Foundation as agreed to match all donations from its partners and employees to the TSH mission. 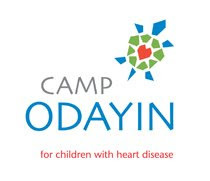 This will greatly help the TSH Forever crew meet it's $25,000 pledge to their mission for Camp Odayin. We thank you from the bottom of our "Strong Hearts!" Peace Coffee has officially signed on to be the coffee sponsor for Team Strong Heart Forever, Team and Solo Edition. Plenty of caffeine to go around! Peace Making In late November 1995, Institute for Agriculture and Trade Policy (IATP) invited a small group of Mexican farm leaders to Minneapolis to discuss the U.S. Farm Bill. At the end of the meeting, Luis Hernandez from La Selva, a Mexican coffee cooperative, complained that during all the talk, he hadn't sold a single coffee bean. He looked at IATP and said, "You guys should be selling organic fair trade coffee." Shortly thereafter IATP created Headwaters International and later our brand name, Peace Coffee. In December 1996, Headwaters' first container, 38,000 pounds of conventional and organic coffee from Chiapas, arrived. After the first container, we bought a partial container of Guatemalan Peace Coffee. A portion of the "profit" went to support Guatemalan peace efforts in collaboration with Nobel Peace Prize laureate, Rigoberta Menchu. In 1997, IATP incorporated TransFair USA and signed the first contracts with U.S. companies roasting fair trade certified green beans. It was the beginning of a new market for fair trade products in the U.S. that continues to grow and expand to new products. In 1999, a second full-time employee squeezed into a tiny office. The Peace Coffee brand was consolidated and the nervously optimistic buzz kept growing. Also in '99, to further our commitment to the environment, both social and ecological, the policy of bicycle-powered delivery whenever possible was adopted. Peace Coffee continues to grow out of experiences in the coffee regions, time spent working in local cooperatives and a desire to push fair trade to the highest level. Since the first batch of Guatemalan coffee, we have made connections with coffee cooperatives in Mexico, Sumatra, Ethiopia, Indonesia, Peru, Nicaragua and Colombia. We have also changed the supply chain by co-founding Cooperative Coffees (http://www.cooperativecoffees.com/), a coop of roasters formed to import 100 percent fair trade coffee direct from the farmer coops that grow it. Peace Coffee today includes a staff of twelve and coffee varieties of fifteen and growing. We roast, pack and distribute our coffee beans all under one eco-friendly roof in Minneapolis. In the Twin Cities metro, Peace Coffee still delivers by bike year-round and our suburban accounts get their coffee from a big, bright biodiesel van. What remains unchanged is our complete devotion to the idea of a fairly traded, farmer-friendly product and the wonders of a great cup of coffee.